Because of the quality of our ideas, our Network has always been a prolific award-winner, ever since our inception in 1970. In the last five years alone we’ve won over 4,000 awards. Here are some of the awards and recognition we’ve received. At the Cannes Lions Festival 2016, Saatchi & Saatchi was awarded a total of 36 Lions – 1 Innovation, 9 Gold, 15 Silver and 11 Bronze. Saatchi & Saatchi London was the leading agency, being awarded a total of 9 Lions for 'Sea Hero Quest' for Deutsche Telekom. 3 Lions including an Innovation were awarded to Saatchi & Saatchi Australia, for their groundbreaking Toyota Landcruiser Emergency Network initiative. Saatchi & Saatchi Singapore were awarded 2 Gold, a Silver and a Bronze for 'Portraits' a confronting visual campaign for the Thai Health Authority. F/Nazca Saatchi & Saatchi Brazil took home 4 Lions for Leica 'Black and White'. 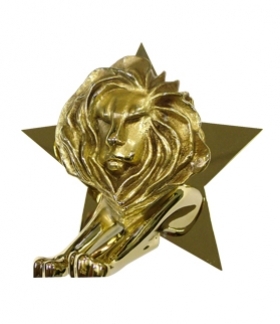 Saatchi & Saatchi Argentina was awarded 7 Lions for their Andes 'The Fairest Night of All' campaign. Saatchi & Saatchi New Zealand also won a Gold for ASB's 'Clever Kash' an innovative campaign designed to help young New Zealanders save pocket money. The Saatchi & Saatchi network won 13 Pencils at the recent The One Show awards including Pencils won for Saatchi & Saatchi London, Australia, New York and France. At the D&AD Awards we received 2 Yellow, 3 Graphite and 8 Wood Pencils. We received 2 Silver and 3 Bronze at the Art Director's Club. Saatchi & Saatchi Argentina received 5 awards at El Sol for their work with Andes. Saatchi & Saatchi London, New York, Australia and F/Nazca Saatchi & Saatchi were all celebrated at the London International Awards.